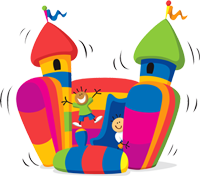 Bouncing is fun for kids, but for grown-up internet marketers it can mess with your conversion rate! To Unbounce is to reverse the ugly trend known as bounce rate. Therefore the goal of every internet marketer in the world should be to unbounce their marketing. Great. How does bounce rate relate to conversion rate? Logically, as you reduce the bounce rate, your conversion rate is likely to rise, although it’s not a purely reflective correlation. Reducing your bounce rate will keep more people on your landing page, being exposed to your brand and message. This has the effect of raising the number and likelihood of converting customers and hence your conversion will rise. Just remember that you need to keep your eye on both bounce rate AND conversion rate, as they are independent metrics for measuring campaign success. The Unbounce blog is focused on both issues and in future posts we’ll tackle topics related to reducing bounce rate and improving conversions.